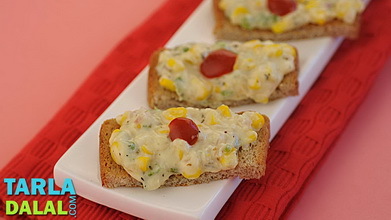 Every bite of this toast is truly a delicious mouthful, with juicy corn kernels and tomatoes, crunchy capsicum and succulent onions. 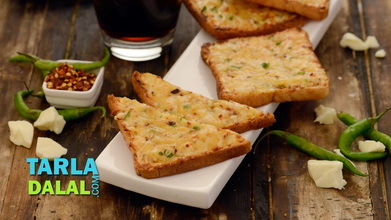 The garlicky butter spread and sprinkling of red chilli flakes give it a lingering flavour while the generous topping of grated cheese makes it a full-fledged treat. 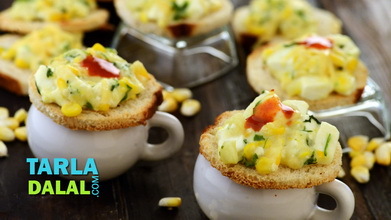 The Garlicky Corn, Tomato and Cheese Toast is a great starter for a party but also a welcome snack on any day! 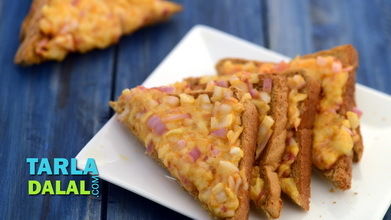 Divide the topping into 5 equal portions and keep aside. 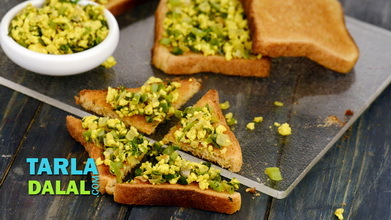 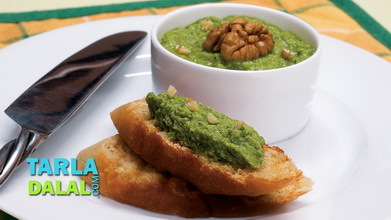 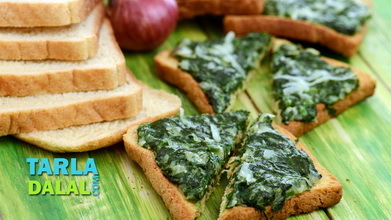 Place the bread slices on a clean, dry surface and apply the butter- garlic paste evenly over all the bread slices. 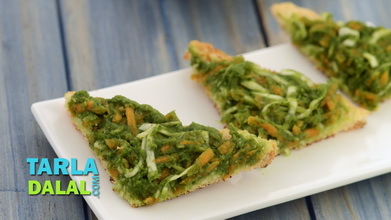 Spread 1 portion of the topping on each bread slice and bake in a pre-heated oven at 200°c (400°f) for 5 to 7 minutes or till the bread slices are crisp. 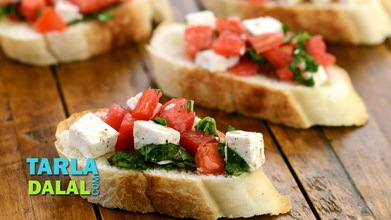 Cut the toast into slices and serve immediately with tomato ketchup.